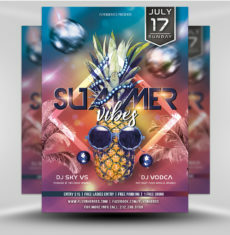 Summertime… It’s the season for fun in the sun, BBQs, and summer camp for kids. 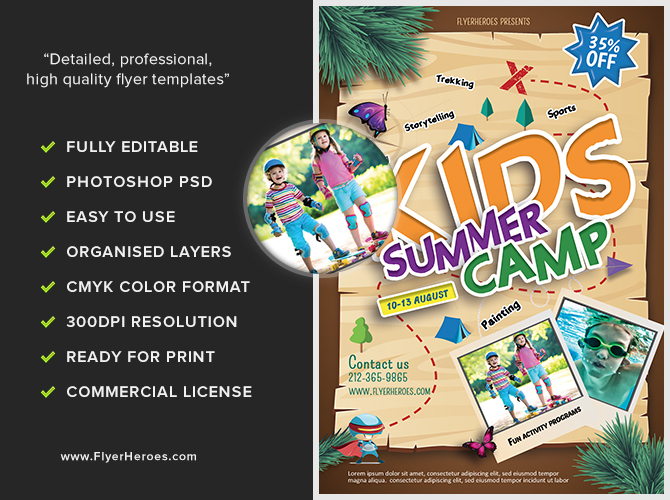 This professional, easy-to-edit flyer template enables you to quickly launch your summer camp marketing campaign. 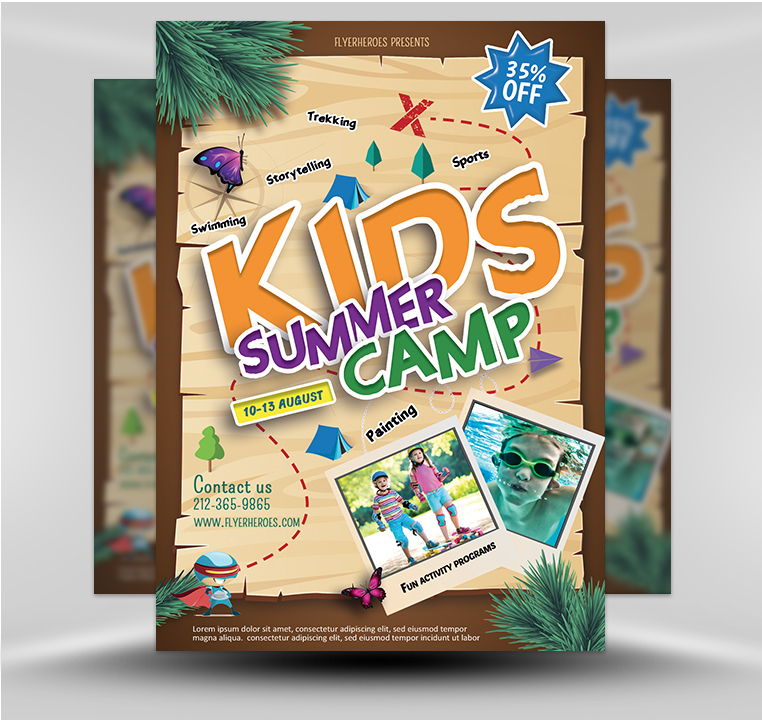 When potential summer camp goers view custom photographs of students enjoying your camp’s fun activities and your listings of summer camp activities and great promotional pricing, how can they possibly resist? Hand out sunflowers and summer camp flyers in front of local school entrances and exits. Distribute your summer camp flyers at student baseball games and soccer matches. 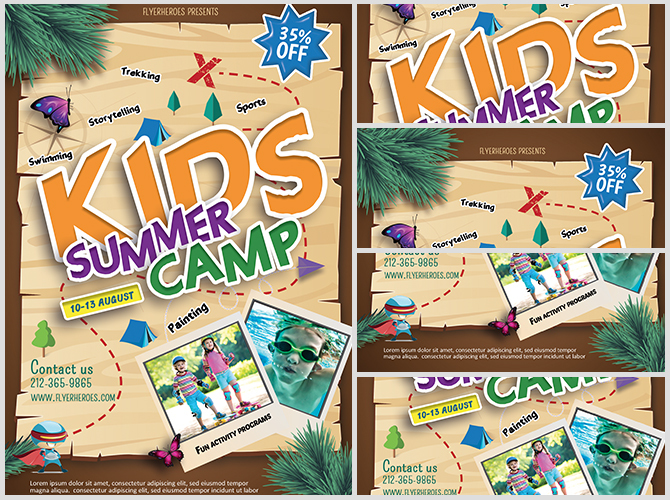 Post a digital version of the summer camp flyer in Twitter posts and school-related e-newsletters. Place the flyer on cars parked around local schools and tutoring centers. Post the flyer on the bulletin board of your local library. 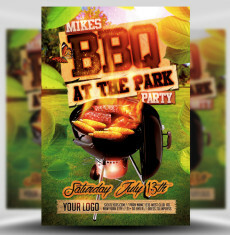 Use the flyer’s digital image to create an eye-catching postcard. Drop off stacks of summer camp flyers for teachers and school principals to distribute. 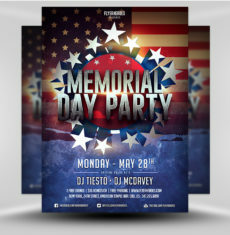 Distribute the flyers face to face wherever students and their parents dine and shop. 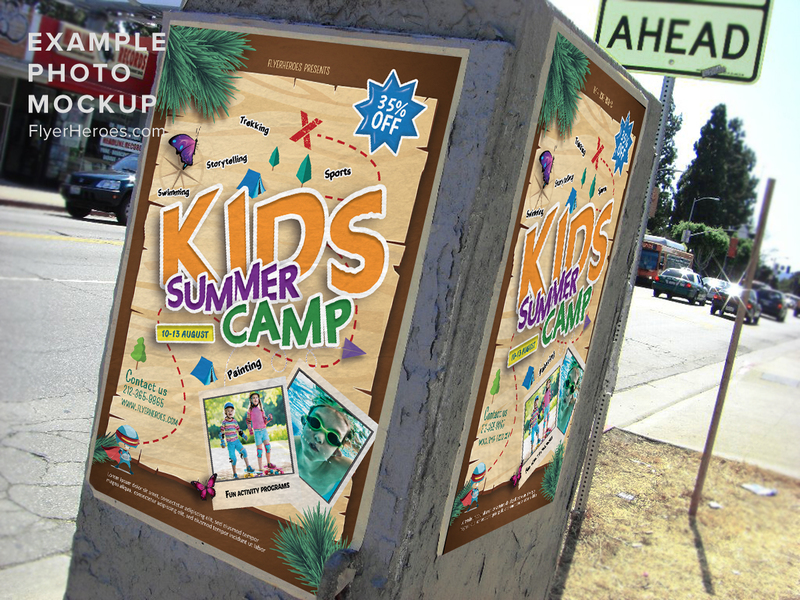 Insert a digital version of the summer camp flyer into a paid, local Facebook ad. Create a message offering summer safety tips for students. 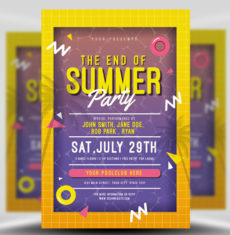 Insert the flyer’s image into the message.